Under System Settings (under Sys Admin), look for the system setting of "cookie.policy.enabled"
Tip: Using your browser's "search" function, search for the word cookie to find the relevant system setting. 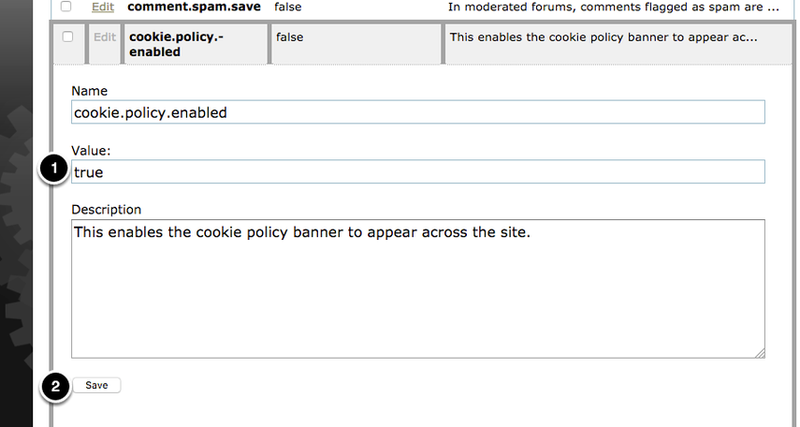 Flip system setting of cookie.policy.enabled to true. 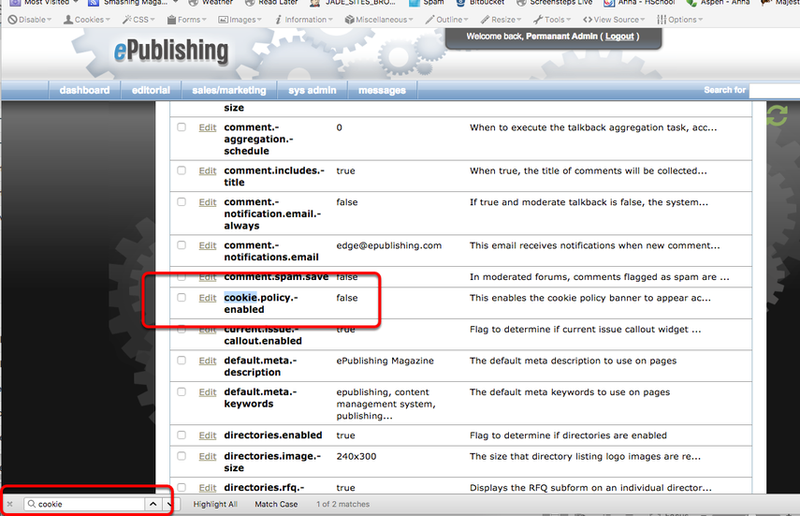 Zoom: Flip system setting of cookie.policy.enabled to true. Prev: How do I clear the cache on my site? I need to get a fix up quickly!